Cellist Pablo Casals called Bach's creations "the greatest and purest music of all time." 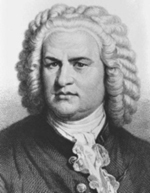 We'll be hearing a lot of Bach's music this week as we celebrate his 319th birthday. Five Minnesota Public Radio hosts share their personal reflections.